hitch everytime you use it and put it back on. If you will use it every week end during the season you will want to leave it on. second insert from the top. 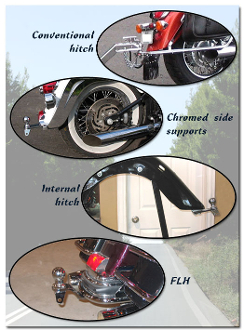 This hitch is exclusively for some Harley Models and is the most noticable of any of the hitches.